Canadian Opposition and Conservative Party Leader Andrew Scheer. Credit: Wikimedia Commons. 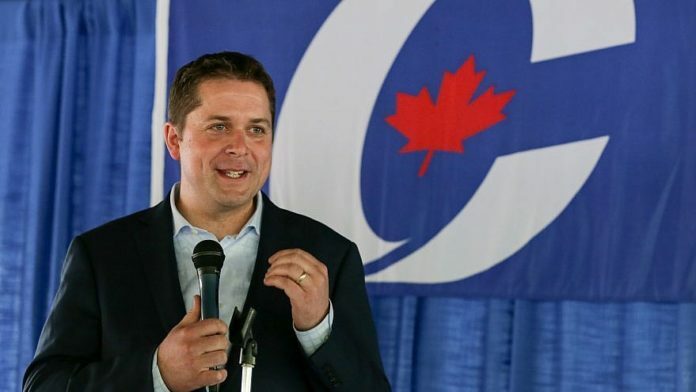 The Conservative Party led by Andrew Scheer posted a pledge on its website in February to garner signatures from the public. (August 29, 2018 / JNS) Canada’s Conservative Party overwhelmingly approved a resolution last week that, were the party to win the next majority government, recognizes Jerusalem as Israel’s capital and move the country’s embassy from Tel Aviv to Jerusalem. Following U.S. President Donald Trump’s decision to recognize Jerusalem as Israel’s capital and move the U.S. embassy in May, Canadian Prime Minister Justin Trudeau said his administration has no intention of recognizing Jerusalem as Israel’s capital or moving its embassy.